The family’s connection to the building trade probably explains the two known marriages between the Rennardsons and the Pickerings. 1. John RENNARDSON married 2 December 1771 Mary DUNN. 1.1. 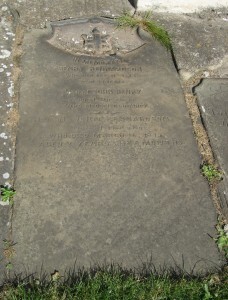 Thomas RENNARDSON baptised 17 May 1772 Preston. 1.2. John RENNARDSON baptised 30 January 1775 Preston, died before 1841, married 26 May 1810 Preston Margaret CRAWSHAW born c1785 Hull, died after 1861. 1.3. Mary RENNARDSON born 4 March 1780, baptised 5 March 1780 Preston. 1.4. Frances RENNARDSON baptised 31 January 1784 Preston, died before 1851, married 12 May 1808 Preston John PICKERING (son of Michael PICKERING and Mary SHARP) joiner, born 31 January 1781, baptised 4 February 1781 Preston. 1.2.1. John RENNARDSON baptised 31 March 1811 Preston. 1.2.2. Mary RENNARDSON bpatised 29 December 1812 Preston. 1.2.3. Henry RENNARDSON baptised 13 January 1815 Preston, died 11 October 1844 Preston, married 1840 Sculcoates, Hull Emma THREGATE born 1821 Sproatley, died 1853 Sculcoates, Hull. 1.2.4. Jane RENNARDSON baptised 15 June 1817 Preston, married 27 July 1836 William ANDREW labourer, born 1813 Scotland. 1.2.6. Thomas RENNARDSON wheelwright, baptised 26 March 1820 Preston, died 1898 Sculcoates, Hull, married 1st 1843 Patrington Mary HYDE (daughter of Francis HYDE and Jane UNKNOWN) born 1819 Keyingham, married 2nd 15 August 1871 Hull Rachel MARSHALL baptised 31 December 1826 Skeckling, married 3rd September 1874 Charlotte GOSLING born 1824 Whittlesea, Cambridgeshire, died 1906 Beverley. 1.2.6. Emma RENNARDSON born c1821 Southcoates, Hull, died October 1853, married 1847 Sculcoates, Hull Richard PICKERING (son of William PICKERING and Ann BATTY) bricklayer, baptised 10 July 1808 Preston, died 1879 Sculcoates, Hull. 1.2.7. Mark RENNARDSON baptised 8 September 1822 Preston. 1.2.8. Robert RENNARDSON builder, joiner, baptised 28 August 1825 Preston, died 1899 Sculcoates, Hull, married 15 March 1856 Hull Nancy BRANTON (daughter of William BRANTON and Mary UNKNOWN) born 1826 Preston. 1.2.3.1. John Henry RENNARDSON born 1843 Preston, died 1843 Preston. 1.2.3.2. John RENNARDSON born May 1844 Preston, died 16 March 1847 Preston. 1.2.3.3. Ada Mary RENNARDSON born 1845 Sculcoates, Hull. 1.2.3.4. Mark RENNARDSON born 1844 Keyingham, married 1868 Hull Harriet Foreman WARDELL born 1851 Hull. 1.2.5.2. Betsy RENNARDSON born 1854 Camerton, married 1873 Patrington John GARDNER. 1.2.8.1. Henry RENNARDSON joiner, born 1859 Preston. 1.2.8.2. Herbert RENNARDSON joiner, born 1864 Preston, married Mary Elizabeth BEVERLEY born 1863 Kirmington, Lincolnshire. 1.2.5.1.1. Mary Hannah RENNARDSON born 1869 Hull. 1.2.5.1.2. Thomas Henry RENNARDSON baptised 21 September 1870 Hull. 1.2.5.1.3. Charles Harold RENNARDSON born 1872 Hull. 1.2.5.1.4. Harry RENNARDSON newspaper clerk, born 1873 Hull. 1.2.4.1.5. Thomas Henry RENNARDSON porter, born 1875 Hull. 1.2.4.1.6. Mark RENNARDSON born 1879 Hull. 1.2.4.1.7. Frederick William RENNARDSON born 22 January 1881 Hull. 1.2.4.1.8. Samuel RENNARDSON born 1883 Hull. 1.2.4.1.9. Percy RENNARDSON born 1885 Hull. 1.2.4.1.10. Jane Elizabeth RENNARDSON born 1889 Hull, married Sculcoates, Hull Herbert TODD. 1.2.4.1.11. Harriet RENNARDSON born 1891 Hull. 1.2.4.1.12. Selina Beatrice RENNARDSON born 1893 Hull. 1.2.4.1.13. Alice Maude RENNARDSON born 1897 Hull, married Hull James C. GOULDEN born 1893 Hull. 1.2.8.2.1. Henrietta RENNARDSON born 1891 Kirmington, Lincolnshire.